Net sales amounted to SEK 2.6 million (2.3), a revenue growth of 12.1 percent. Earnings before interest and taxes (EBIT) amounted to SEK -21.9 million (-19.3). Earnings per share after dilution at SEK -0.36 (-0.34). Cash flow from operating activities amounted to SEK -21.7 million (-15.9). Cash flow from financing activities amounted to SEK +2.5 million (63.0). Liquid assets at the end of the period at SEK 22.6 million (44.9). Equity ratio was 84 percent (88). 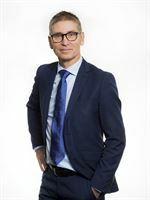 Net sales amounted to SEK 1.1 million (0.5), a revenue growth of 123.5 percent. Earnings before interest and taxes (EBIT) amounted to SEK -5.9 million (-6.3). Earnings per share after dilution at SEK -0.10 (-0.11). Cash flow from operating activities amounted to SEK -5.0 million (-3.8). During November, the Swedish Medical Products Agency approved the new expanded clinical study for ChloraSolv on hard to heal foot- and legulcers with around 60 patients and the clinical study was initiated at the first site. The study name is ”ChloraSolv01”. 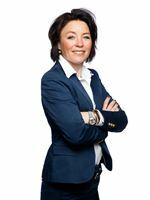 Eva Jagenheim, is appointed CFO, starting on 25th of March. The wound-care patent, Dermasolv, is registered in the USA. The Periimplantit patent is registered in Europe and in Japan. The legal process deriving from a claim from a former co-worker, Karin Bergqvist, is ongoing. First patients treated in ChloraSolv01. Launch preparedness for ChloraSolv continues. We aim to participate at the EWMA event in Gothenburg in beginning of June. At the turn of the year, the first commercial batches of Perisolv were produced at Biora AB. Also the new product ChloraSolv is now ready to be produced by our subcontractor. RLS Global's shares have been listed on the Nasdaq First North since 17th May, 2017 and trading takes place under the short name RLS. Certified Adviser is Erik Penser Bank, telephone +46 (0) 8 463 83 00, Email: certifiedadviser@penser.se. During the period 2012 - 2017, the company was listed on Aktietorget. This information is such information that RLS Global AB (publ) is obliged to make public pursuant to the EU Market Abuse Regulation. The information was submitted for publication, through the agency of the above contact person, at 8:30 CET on 28th February, 2019. For more than 20 years, RLS Global has worked with Oral Care specialists, pioneering new therapies for Oral Care and their patients. We are now taken another major step toward easier and more effective care within Wound Care. We will continue to work with Health care Professionals to ensure to develop a treatment that further helps deliver the best care for each patient. The method is clinically proven and saves the patient a lot of suffering. Our focus is on caring for the patients, developing efficient and safe products that offer gentle treatment methods. We’re proud to provide Minimally Invasive Therapy which provides Quality of Life for patients worldwide. We Take Action against PainYes we do. For more than 20 years, RLS Global has worked with Oral Care specialists, pioneering new therapies for Oral Care and their patients. We are now taken another major step toward easier and more effective care within Wound Care. We will continue to work with Health care Professionals to ensure to develop a treatment that further helps deliver the best care for each patient. The method is clinically proven and saves the patient a lot of suffering. Our focus is on caring for the patients, developing efficient and safe products that offer gentle treatment methods. We’re proud to provide Minimally Invasive Therapy which provides Quality of Life for patients worldwide. RLS now has a detailed plan with activities for bringing ChloraSolv to the European markets in a structured manner.